What Is Freemium? Is Free-to-Play Actually Good for Gaming? What is Freemium? And Is Free-to-Play Actually Good for Gaming? The Dungeon Hunter series uses some of the worst aspects of the free-to-play model. The typical freemium or free-to-play app is a free download that uses in-app purchases to produce revenue rather than charging a flat fee for the app. Some freemium apps are simply ad-supported apps that offer an in-app purchase to disable the ads, while other apps and games use a more complicated revenue system utilizing in-app purchases. The freemium model has become very popular over the past few years, especially on mobile devices like smartphones or tablets and Internet-connected PC games, especially massively multiplayer online games (MMOs) like Everquest 2 and Star Wars: The Old Republic, which have both switched to a freemium model. Freemium is a combination of the words "free" and "premium". Free-to-play has been a very successful revenue model. The basic freemium application gives away its core functionality for free and offers upgrades to add certain features. In its most simple form, this is like combining the "lite" version of an app with the premium version, with the premium features available for a price. The idea behind the freemium model is that a free app will be downloaded much more than a paid app. And while many users will continue to use the app for free, the overall number of in-app purchases will exceed what could be made by keeping the app premium. At its best, free-to-play games offer the complete game for free and focus on cosmetic changes in the store. A great example of this model at work is Temple Run, a popular game that started the 'endless runner' craze. Temple Run's online store allows you to purchase cosmetic changes to the game or take shortcuts on acquiring certain enhancements, but all of the features of the game can be unlocked without spending any money. Players are also not forced to pay for any items to extend their daily game time, which means you can play the game as much as you want. In-app purchases can also be a great way to add new content to a game. 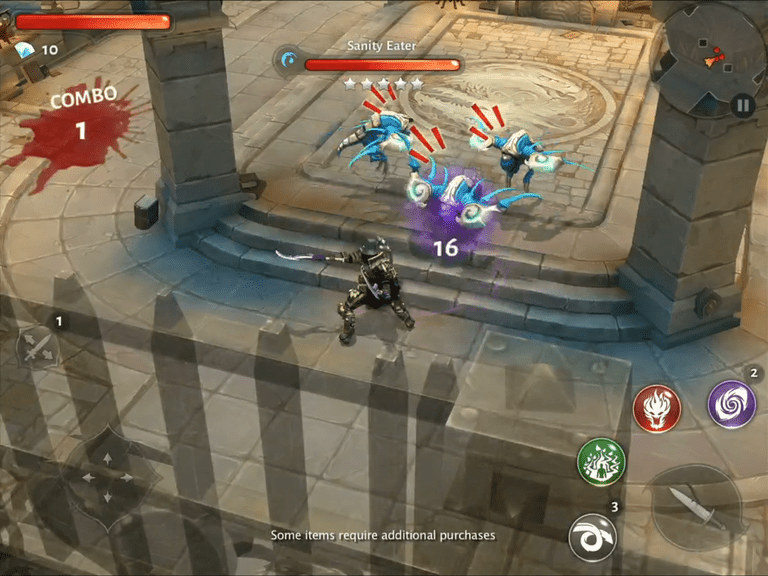 In Multiplayer Online Battle Games (MOBA), the core game is often free while different characters can be purchased either through an in-game currency system that the player slowly accrues or in-app purchases. This allows a premium game to be free to try. In-app purchases can also fuel larger expansions like new maps, adventures, etc. There are plenty of examples of freemium done poorly, with some money grabs leading to descriptions like "pay to win", which refers to players spending money becoming more powerful much more quickly than other players, and "pay to play", which refers to games using some form of time limitation that can only be alleviated by purchasing items in the store. Unfortunately, an entire genre of games is built on the pay to play model. Many gamers become frustrated with the free-to-play model. It often seems like games are trying to nickel-and-dime players to death. The worst example is when a good game series such as the Dungeon Hunter series turns to free-to-play and implements the worst side of it. A bad game can be ignored, but a good game series turned bad is frustrating. But perhaps the worst aspect of the rise of free-to-play is how it has changed the player base. As much as many players wish for games that they can simply pay for and never worry about paying again, gamers as a whole have become accustomed to downloading a game for free. This makes it harder to convince people to pay an initial price for that download and pushed some developers towards the free-to-play model. Is Free-to-Play Actually Good for Gaming? Believe it or not, there are some good aspects to the rise of in-app purchases. Obviously, the ability to download and check out a game for free is good. And when done right, you can earn the "premium" content by working through the game and building up the in-game currency. But the best aspect of the model is the emphasis on longevity. A popular game already has a fan base and it is much easier to keep them within the same game than it is to convince them to move to the sequel. This emphasis on longevity leads to more content both through in-app purchases and free updates to keep the game fresh for those playing. This is directly the opposite of gaming just fifteen years ago when a game might get a couple of patches but any bugs left after that were left there for good.